It is not enough to say your protocol is going to change to an injectable. You must figure out the process to achieve it within your practice. When should a veterinarian recommend an injectable option vs. an oral option for treatment? The answer: When it is best for the pet. We should never perform a service or recommend an item that is for our benefit and not the pet’s. Thankfully, the injectable options available to us oftentimes are not only the best choice for the pet and client, they can be the best for the business of veterinary medicine. 1. Why might injectables be best for the pet? How often is a two-week course of antibiotics actually given to and consumed by a pet? What about oral antipruritic medications? Anti-inflammatories? We know that clients frequently forget to administer a once- or twice-daily treatment. How many leftover, partially used pill vials prescribed to you, your children or your pet are sitting at home? With me, it’s a lot. If we can provide an injectable option, regardless of the cost, we ensure a better outcome. 2. How can injectables be best for the client? We often have no idea how much a pet owner struggles to give an oral medication, whether a pill, chewable or liquid. Pets are talented at sorting through peanut butter and hiding pills in their mouth. Liquids are often vomited. When a pet receives only seven days of the 14-day course of treatment, how often is it because of the challenges of administration? 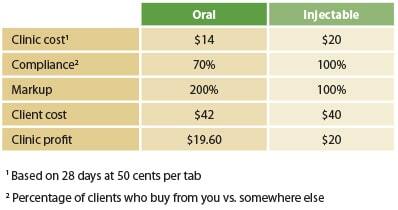 Many of my clients admitted to not being able to give oral meds. Ask them. You will be shocked. Injectables can solve all this. 3. How can a veterinary business benefit? How many clients purchase the prescription from the clinic, or are they shopping online or at a big-box store? How many clients return for the recheck? My experience says 20 percent will shop elsewhere and 40 percent will skip the recheck. An injectable solution can generate an extra $50 to $60 per visit. 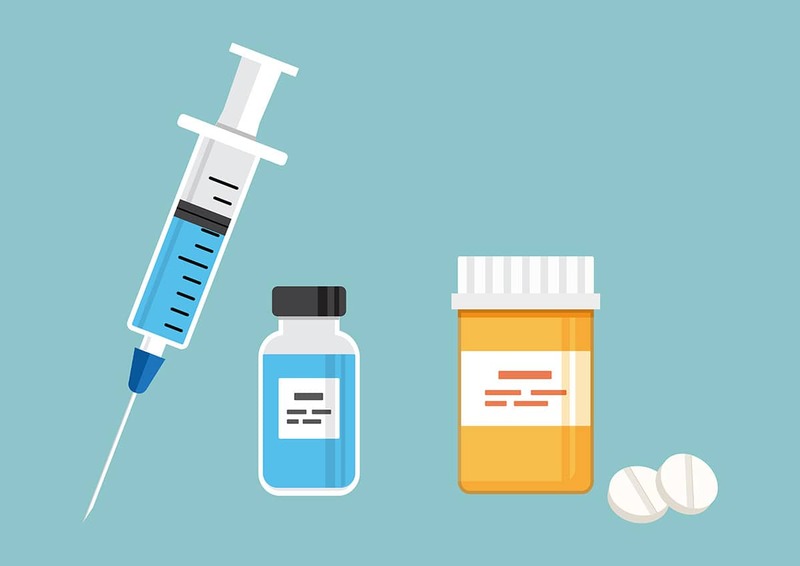 If a doctor sees 2,400 patients in a year — the national average — and 1 in 4 is faced with the injectable vs. oral option, 600 opportunities surface. At $50 per opportunity, the profit amounts to $30,000 per DVM. Multiply by five doctors and a practice’s profit total could jump by $150,000. Which one is best for the pet? The answer may be “no difference” if all the oral meds are given. But how often does that happen? In my experience, less than 20 percent of clients finished the meds as prescribed. If we are focused on what is best for the pet, long-lasting injectables are better. And as described above, the clinic’s profitability increases and we create a moat around antibiotic treatments — Amazon does not give shots. Keeping the revenue and profit in-clinic is very important to monthly income and overall business value. Which one is best for the pet? If we could be 100 percent sure about client compliance on the administration of meds, it’s a good question. In reality, we cannot be sure. For that reason, when all else is equal, it’s always better to have an injectable solution. The clinic profit changes dramatically when case management is transferred from oral to injectable. See above. How often does a treatment fail because of improper timing and noncompletion of oral medications? Very frequently! We can strategically price the injectable to generate an increased profit without charging the same markup. The decision is a winner for all parties: the pet, client and practice. The following chart shows ways to price injectables and generate the same or more profit, not counting the dramatic improvement in rechecks. You often can — and I did — charge more for the injection because of the client convenience. It is not enough to say your protocol is going to change to an injectable. You must figure out the process to achieve it within your practice. The first step is education. Teach the team why the recommendations are changing. Go over the data on the percentage of meds actually given. Explain how antibiotic resistance can develop when a course of antibiotics isn’t completed. Industry representatives can provide you with the data, as it is in their best interest when sales occur within your clinic and not through other channels. You also need to educate the client. The two most critical points to raise are the benefits to the pet and the owner. Most clients will leave your practice thinking they will give every pill on time until the bottle is empty, so do not emphasize that point. Instead, talk about the medicine and how a consistent blood level provides a better outcome. Mention how an injectable won’t cause the vomiting or diarrhea that can occur with some oral meds. Acknowledge that orally medicating a dog or cat can be very difficult. Peanut butter and Cheez Whiz do not work for all. Raise the convenience factor. I know that in my household I would pay a lot more to avoid having to chase my dog or cat around while holding a medication he hates. Change is not easy. Using more injectables in a practice is worth doing. Every practice will be different, but all moves toward injectables will rely on great education of the team and the client. Remember this: We cannot do what is best for the pet if the client does not say “yes.” Part of our job is to get to the “yes.” Keeping pharmacy revenue in a practice is extremely helpful to the bottom line. Although today’s clinics need to focus on services, profiting from our inventory will help us keep service fees lower and ensure access to high-quality medicine for more pets. Injectable options are often the best medical choice for the pet, the greatest convenience for the client and the best profit opportunity for the clinic.